Nigeria as currently constituted, is a narrative filled with a lot of negativity so much so that the positivity gets drowned in the cacophonous woes besetting the better side of waking consciousness. For the idealist, this narrative is nihilistic and contrary to everything he or she aspires. And so from political shenanigans, terrorism, kidnappings, ritual murders, armed robbery, an unpatriotic zeal and spirit to undo and rip the country to shreds, corruption, woeful infrastructure system and poorly funded education; just about everything that signals the hallmark of a failed state stare back grimly at the onlooker. 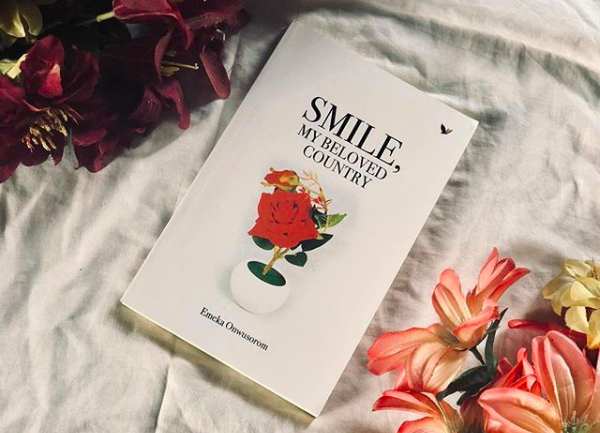 But one idealist, Mr. Emeka Onwusorom, has woven a counter-narrative of positivism and has fictionally turned the tide of Nigeria’s gloom and doom story into one of glory and unsurpassed rejuvenation in his fictional narrative, Smile, My Beloved Country (Origami/Parreisia Publishers Ltd, Lagos; 2018). His is a story of hope and redemption from an unlikely source that cancels out all the negativism visited on the country by those who do not mean well for her. Indeed, Onwurorom’s fiction departs from the regular stark realism that offers escape from the dire situation.